Sonos is a wireless HiFi system that unites your digital music collection and streaming services, in one, easy to use app that is controlled from any network connected device. If you have ever wanted a wireless, multi-zone audio system in your home or business, but thought is was too expensive or to difficult to install, let Digital Living showcase the power of Sonos for you. We know you will absolutely love it, and with Digital Living professionally installing and integrating your Sonos system, you have years of enjoyment. Start with one speaker in your home or business and easily expand to other rooms. There is a Sonos speaker for every application and their speakers are custom designed to be discreet and classy. You can also have Sonos Connect Amp power your in-wall, in-ceiling, surface mount and out door all-weather speakers. 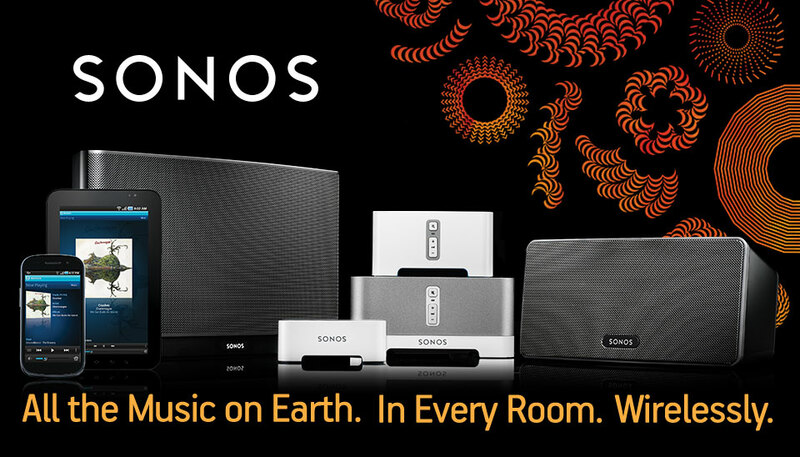 You can check out the Sonos product lines and when ready, reach out to Digital Living – Sonoma| Napa | Marin and get your Sonos system professionally installed. Sonos also has a very cool speaker bar that is a very solid product.